Inspiration: One evening during the holidays last year my wife commented that I spend too much time on Facebook. Like an instant reflex, I denied the claim. But then I thought that I really had no data and could see why she might be right. I didn't actually know how much time I spent actually working, vs playing games vs social media or online video? And this is a common problem. 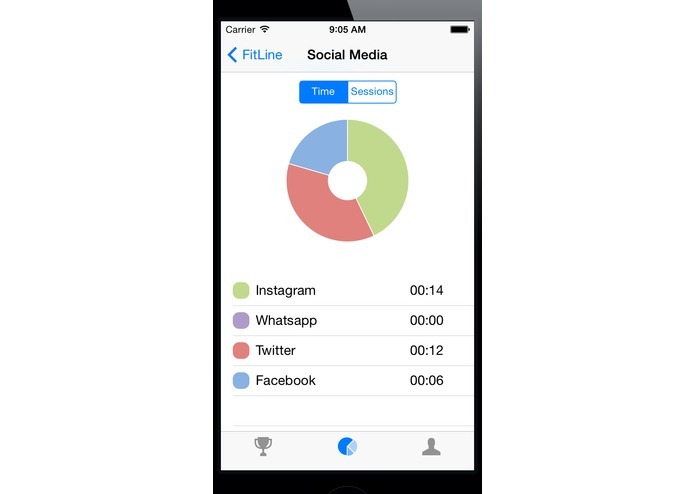 Today four of us got together to get visibility into our online life by building FitLine, a tool to monitor and hopefully control how a person spends his or her time on phones and computers. 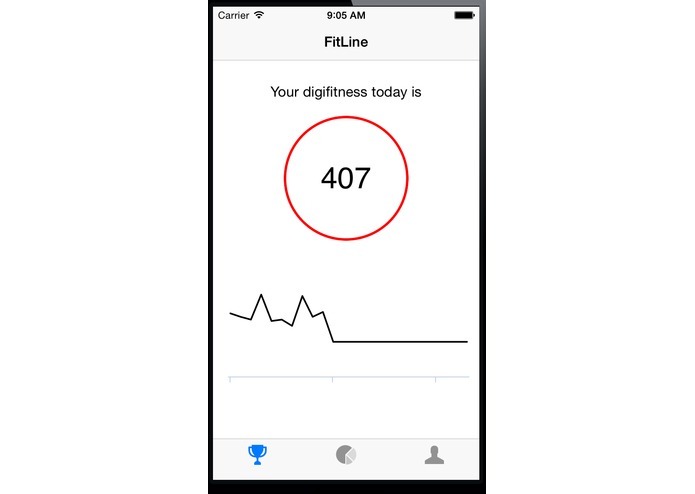 Target User: FitLine is for any person who believes that a healthy life needs a balance between how much time we spend in the digital world vs the real world. Such a person would like to monitor their time spent on phone and computer, and have tools to make manage and control that time. 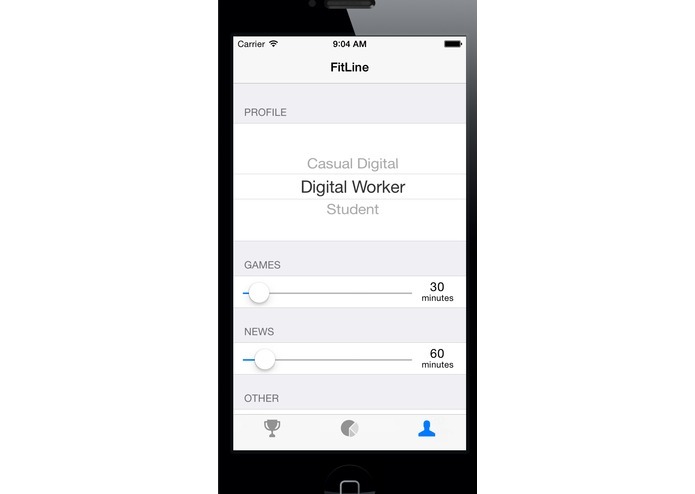 Key Features: FitLine does App and site level tracking using browser plugins and a mobile app. It then analyzes the data to get a detailed analysis of how a person is spending time on phone/computer. Not all time spent on these devices is equal. Some is for work and necessary but maybe the time on social or video or games needs to be reduced. Maybe work needs to take a backseat in certain times of day. 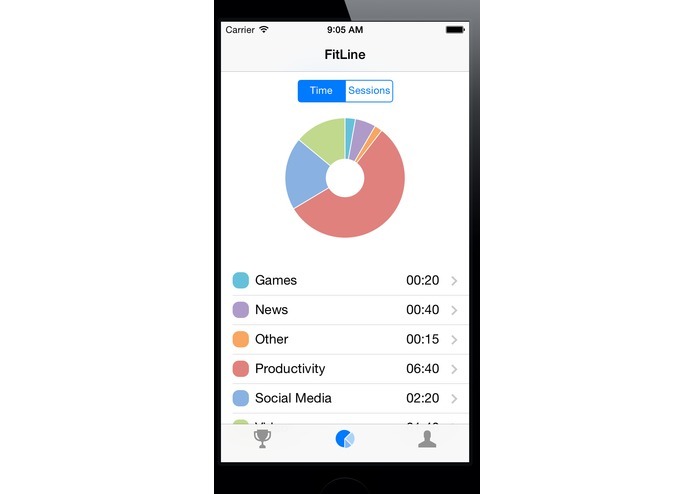 With FitLine's comprehensive tracking a user can see the full details and make informed choices, monitor how they are performing against their goals and get help from FitLine in attaining their goals.